Hello, world! It’s a new month and a new Friday. So following our weekly tradition, we’re bringing you the weekly tech news roundup. This week’s news covers Andy Rubin launched the Essential Phone, Microsoft gives Skype a makeover to look more like Snapchat, Intel announced the Core X line of processors including a new Core i9 chip, OnePlus teases the OnePlus 5 and Paranoid Android comes back to the ROM game with the new Paranoid Android 7.1.2 ROM. We’ve got a lot of stuff to cover, so without wasting any time, let’s get right into it. If you’ve been following the hype bandwagon lately which I know you have been, then you probably already know that Andy Rubin has been up to something. The father of Android had publicly announced his new company and had already teased what was coming from the new company. If you’ve been living under a rock, the new company I’m talking about is Essential and they’re building a new phone and a host of other devices. The phone finally came to the spotlight this week and boy does it look pretty. Let’s get to the phone first; the Essential Phone comes in at $699 with the top of the line specs and features. It’s most prominent feature: the edge to edge display which is almost like Samsung’s Galaxy S8’s Infinity Display, but only a whole lot crazier, it is literally a phone without bezels, so much so that it wraps around the front facing camera as you can see in the product shot. There’s a small chin on the bottom, but it’s as close as you can get to buying a full-screen phone. Getting the specs out of the way, the Phone (which is what they’re calling it instead of Essential Phone) is powered by four gigs of RAM and 128 bit of storage and powering it all is a Snapdragon 835 SoC. The phone ships with the intention of being as minimal as possible and hence they didn’t even put a company logo on it. All because they’re hanging on to the idea of shipping a phone without junk. 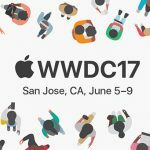 The community speculates that the phone won’t have even the software bloats that other phones ship with. So far, Essential is committed to shipping very well made phones, sans the junk and their first offering is quite a looker. On the aesthetics end, the phone flaunts a titanium frame with a ceramic back. 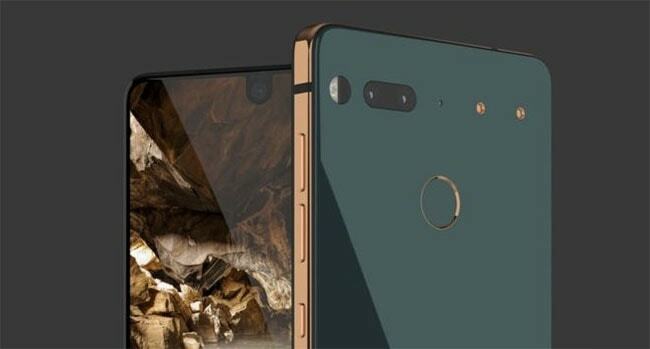 The phone’s hardware isn’t the only thing that is interesting about Essential. The company is aiming to build an ecosystem of accessories around their devices. Almost like Moto Mods but a whole lot better. Essential will ship a 360-degree camera that can click into the top of the phone, and the company will also offer a charging dock. Both connect to the phone with small metal pogo pins. The phone will ship this month in the US and comes with a premium price tag of $699. Almost six years ago, Microsoft acquired Skype and in a span of six years, technology has changed radically. Every day we have new toys to play with and new means of connecting with our world. In a way, technology has saturated us with options. Today, on a typical user’s phone, there are about five apps just dedicated for messaging. We have WhatsApp and Facebook Messenger on the top of the line and then we have other offerings like Hangouts, Allo and what not. In this charade of defining and redefining what communication between two people or a group should be, Skype somehow got left behind. Today, unless you’re a grandfather, you probably don’t use Skype and part of the reason why that’s the case is that of the lack of features. Well not anymore. This week Microsoft pushed a huge update to Skype, which not only changes the way it looks but also adds features on top of it. 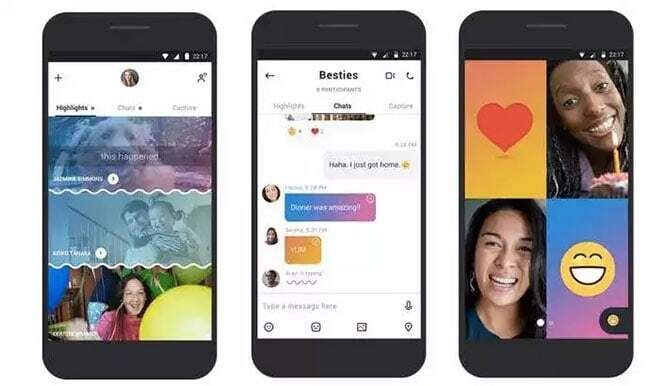 Described as the next generation of Skype, the new design focuses on messaging contrary to its popularity for being a video chat service. I think they did it to stay relevant in the time of WhatsApp and Snapchat. The new interface includes three sections in a conversation, find, chat and capture. Find lets you search through a conversation or find things from add-ons, chat is the basic conversation that one expects within options for emoji and pictures, etc. What’s interesting is the Capture section which feels like a total rip-off of Snapchat. It will immediately take you into the camera and let you take pictures and videos. The highlights feature in the new Skype is like Snapchat Stories or if you prefer Facebook or Instagram Stories. It basically lets you post a stream of photos and videos that friends can view and react with emotions. The option to react is also present on the text-based conversation. The calling interface is also redesigned. You can now drag and drop people in and out of conversations and react with emojis during calls. There hasn’t been much innovation going on in the desktop computing sector and Intel took the stage at Computex this week to change that. 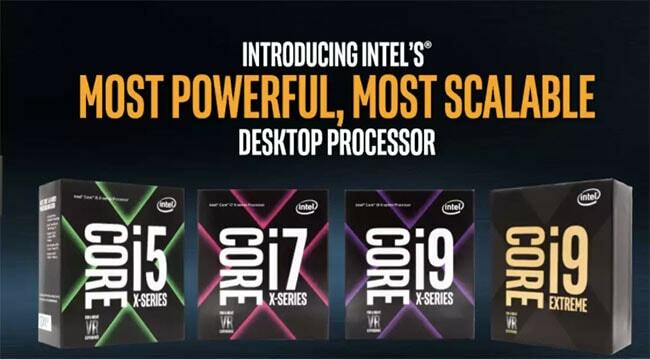 The silicon vendor announced a new family of desktop processors called Core X. They’re more powerful versions of their Core i5 and Core i7 processors. Not just that, they’re also adding a new top of the line Core i9. The Core X series is targeted at enthusiasts and gamers and content creators. People who want to be able to run latest games at the best possible resolution while streaming the footage and running a chat on top of it. The Core X series scales from models with four cores topping out with the $1,999 Core i9 Extreme which offers 18 cores and 36 threads. The Core X family starts with the Core i5-7640X at $242, which offers 4-cores and 4-threads. The Core i7 X-series range from a $339, 4-core/8-thread model to a $599 8-core/16-thread chip. As for the Core i9? Intel will be offering four models (not counting the i9 Extreme mentioned earlier) ranging from $999 for a 10-core/20-thread processor to a $1,699, 16-core/32-thread chip. OnePlus is one of the most pro-consumer brands out there. They started their journey with the super successful OnePlus One and went on to ship multiple devices each year with their latest one being the OnePlus 3T. Well, it’s almost June in our calendar and if you’ve followed the annual release schedule forward OnePlus, you know that they’ll be unveiling their next flagship pretty soon. While there have already been leaks and rumors floating around the internet and media, this week OnePlus gave us a sneak peak into the prowess of their latest flagship. We already knew that the OnePlus 5, which will be their next device, was partnering with DXO Mark to up their camera game and if you don’t know about DXO, it’s the firm that gave the Pixel the highest rating on camera performance. To prove that the OnePlus 5 camera will pack some serious power, OnePlus released camera samples of the 5. At first look, they definitely look pretty impressive from a raw image quality standpoint. 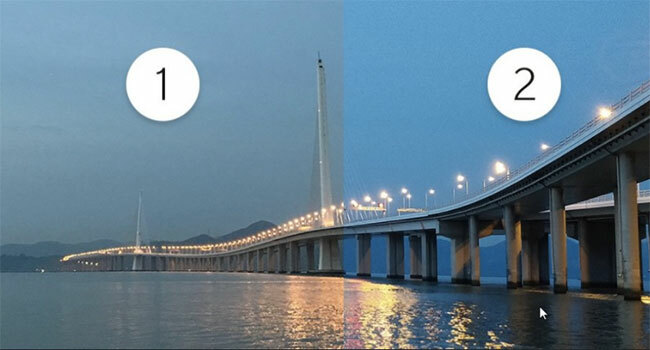 Actual performance may vary depending on the sensor and lighting conditions, but so far the camera sample does hint at an increase in picture quality for the next flagship. Paranoid Android is a popular ROM among Android enthusiasts and their USP has always been a stable ROM. Well, after almost a year long hiatus the team (all of which were hired by OnePlus to build the Oxygen OS) is back in business with their latest Nougat based iteration. The new Paranoid Android comes in with everything you expect from a good quality ROM. It’s stable, it is fast and it adds a ton of helpful features on top of Android to make it even better. First is the Color Engine which allows modifications to apps on a per app basis. Next, comes Pie Controls which have been redesigned to take full advantage of the phone you run it on. On OnePlus devices, there is, even more, an enhancement to the camera performance. Developers have apparently worked on a custom algorithm to improve the picture taking prowess of the OnePlus devices. The ROM is currently available for Nexus devices, the Pixel and OnePlus 3 and 3T. The developers have however stated that more devices will be supported soon enough which includes the OnePlus One and the OnePlus 2 (which has completely been forgotten by the company). 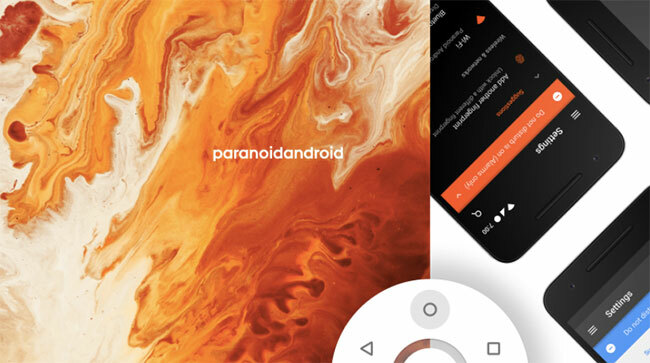 If you happen to be looking out for a new ROM to try out on your device or maybe you just want to add some sweet customizations on top of stock Android for your devices, you may want to check out Paranoid Android. You can head over to their website to find out more about the ROM and officially supported devices. The current week’s spreads Andy Rubin propelled the Essential Phone, Intel reported the Core X line of processors including another Core i9 chip, One Plus prods the One Plus 5 and Paranoid Android returns to the ROM amusement with the new Paranoid Android 7.1.2 ROM.